Peaceable Kingdom Valentines have set the standard for bringing more fun to your child’s Valentine’s Day card exchanges! 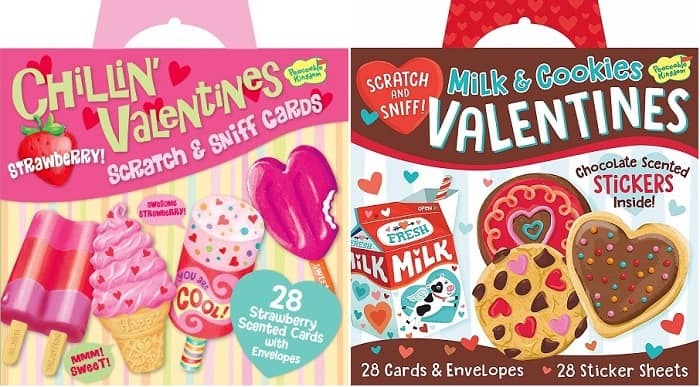 Each of these packs featuring 28 cleverly designed cards with real envelopes, the Peaceable Kingdom Milk & Cookies Scratch & Sniff Card and Stickers and the Peaceable Kingdom Chillin’ Strawberry Scratch and Sniff Super Valentine Pack lets your child give everyone in their class more than just a greeting – they get to give FUN! A clutch is a must for every woman’s closet for nights out or days when you don’t feel like taking a big purse with you. And, you’ll love these chic Monogram Clutches. Get these for just $9, down from $26. This convenient synthetic leather clutch envelope purse is available in 16 bold and beautiful colors. It has room for all the essentials – money, credit cards, cell phone and more. You’ll get a ton of compliments on this, and you’ll want one in every spring color – especially at this price! Browse ALDI Weekly Ads. I have heard nothing but amazing things about memory foam pillows, and I’ve been wanting to try one. So, I’m excited to see this highly-rated WEEKENDER Ventilated Gel Memory Foam Pillow on sale today. 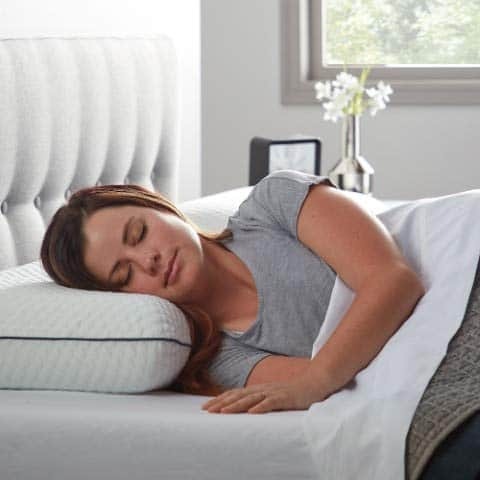 This pillow is designed for comfort and to support your head, neck and shoulders. It’s also great for temperature regulation. It has gel in it plus ventilation holes that enable it to keep you cool at night and to maximize air circulation. I love sleeping in a cool room, so this is just what I need! Make sure you grab your WEEKENDER Ventilated Gel Memory Foam Pillow while it’s on sale today! Kids have big hearts-and what better way to celebrate friendship than with seven small ones? 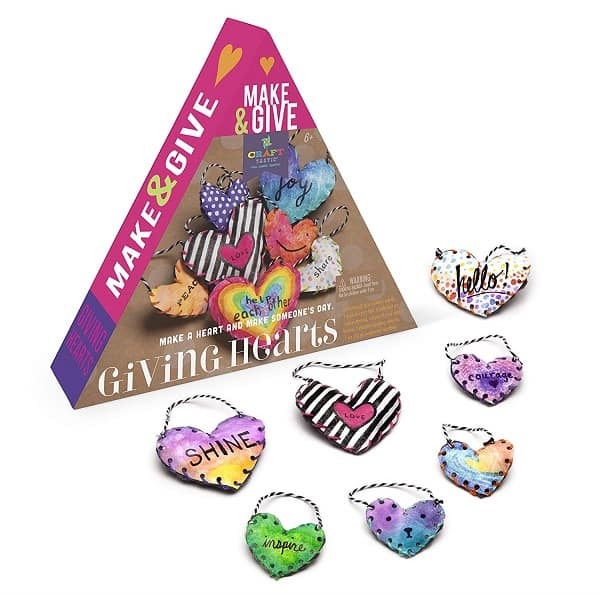 With the Craft-tastic – Make and Give Giving Hearts – Craft Kit, they can decorate the special plastic paper with paint, markers or pencils and write inspirational words, whatever their heart desires! Only the highest quality materials and components are used in craft-tastic craft kits. Distressed jeans are trending, and you’re going to want these stylish Spring KanCan Skinnies in your closet. Get these chic ripped jeans for $39, down from $73. Everyone needs a favorite pair of ripped jeans. From the soft denim to the ‘just right’ fit, these skinny jeans are perfect for your everyday outfit. Dress them up with a floral tunic and booties or keep them casual with a tee and sneakers. You can never go wrong with the perfect pair of jeans. Don’t miss these Spring KanCan Skinnies while they’re on sale!